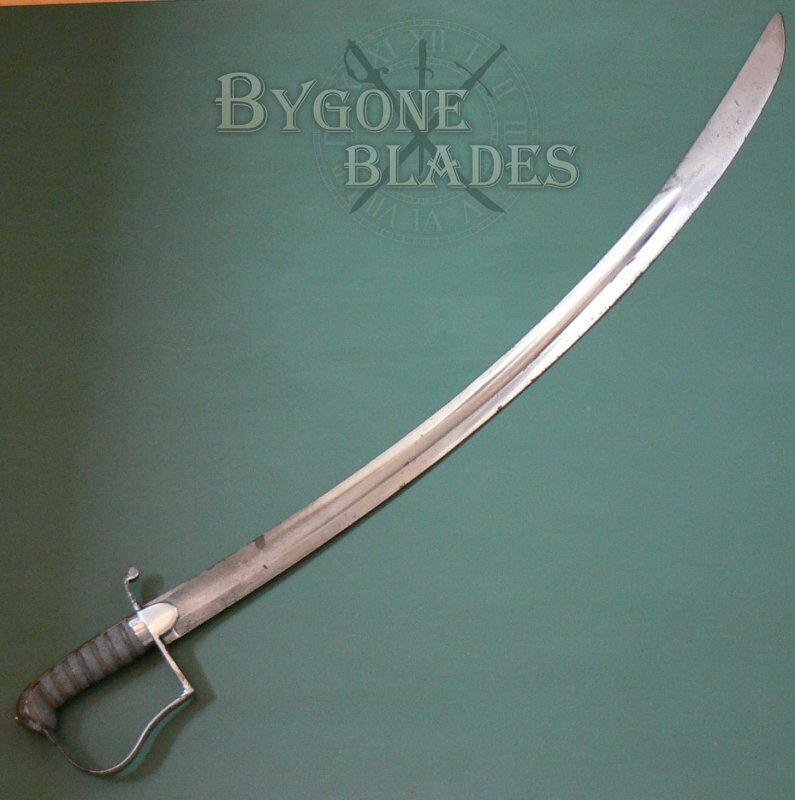 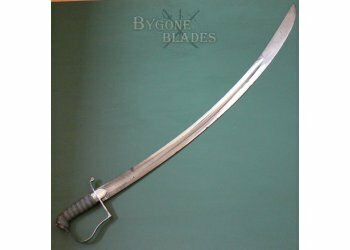 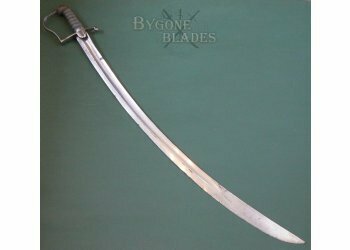 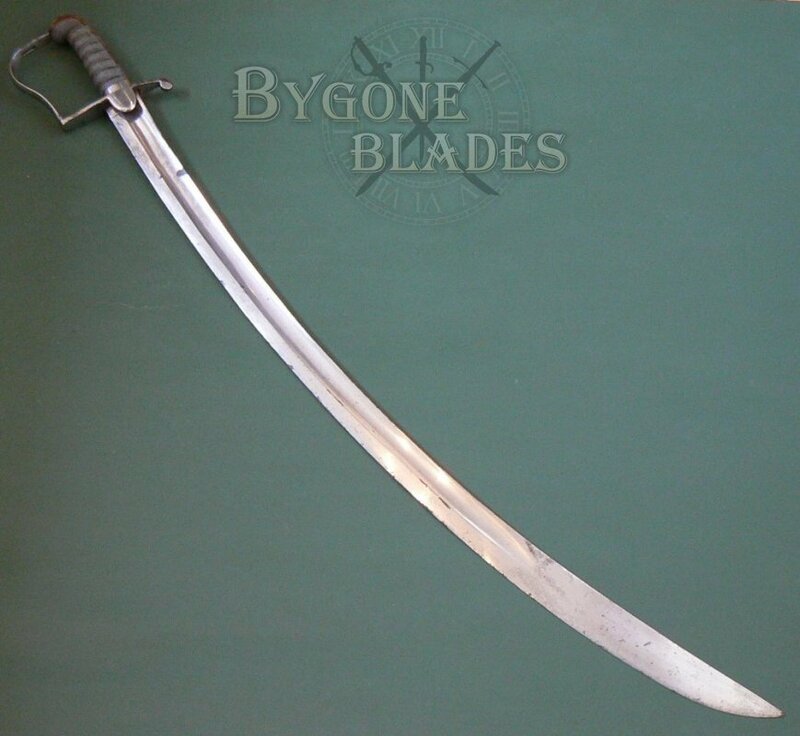 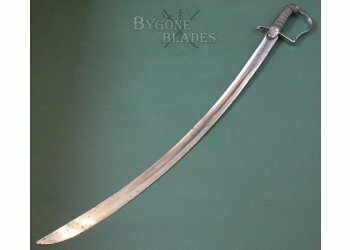 The 1796 Light Cavalry Trooper's sabre is one of the most prized British army swords and finding a genuine item in good condition is difficult. 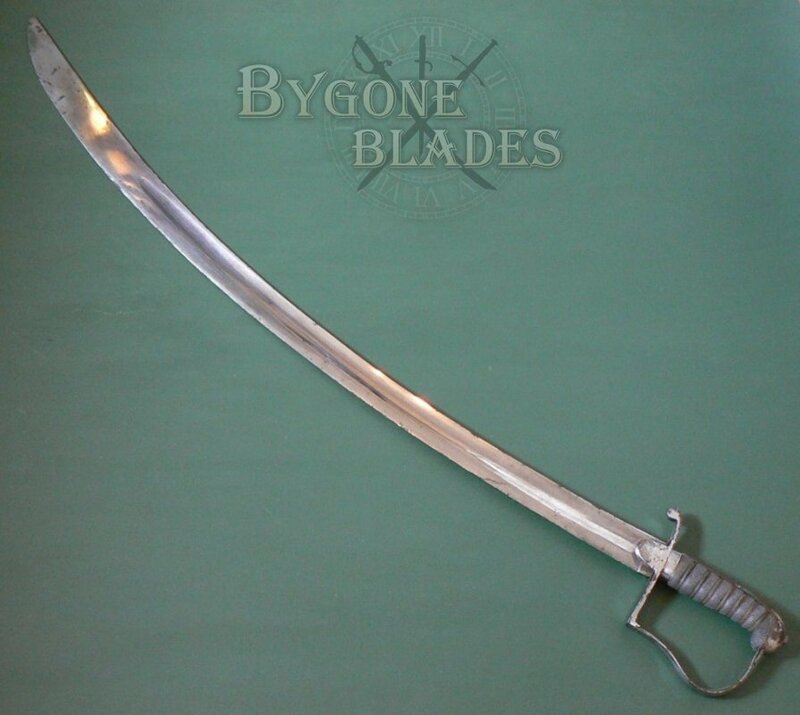 Many 1796 Light Cavalry trooper swords were made without maker marks and sold directly to regiments. 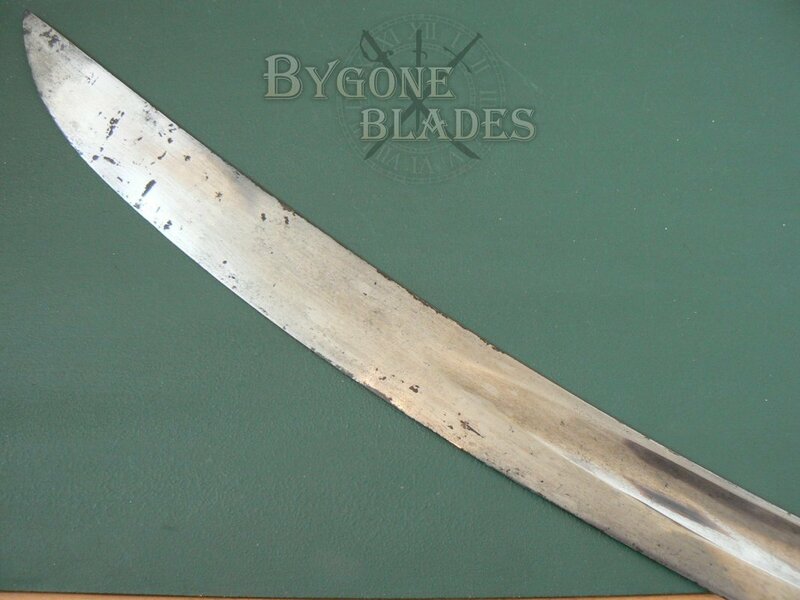 This was common practice at the turn of the 18th Century. 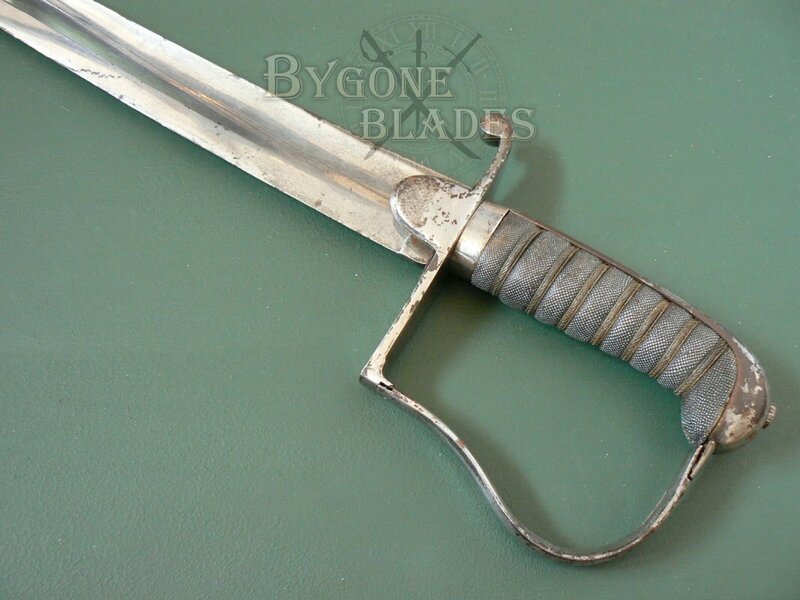 It was left to the regimental chiefs to decide if and how to mark their swords. 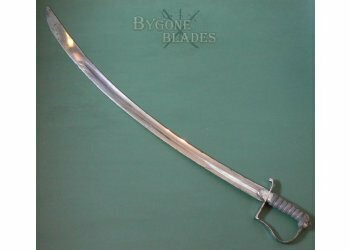 This was the case even when the War Department had sourced their swords and at times of conflict, withholding weaponry for marking purposes was hardly a priority. 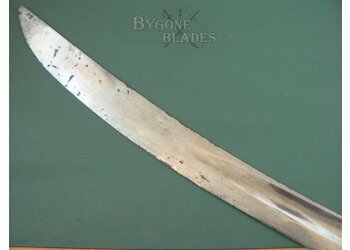 This P1796 was most likely an officer’s sabre as there are no “ears” on the wired shagreen grip. 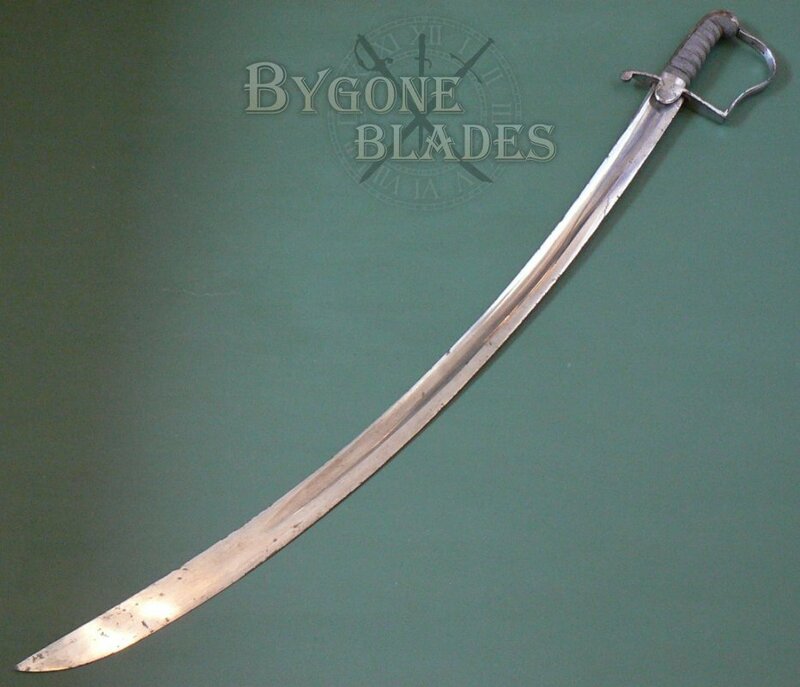 There are no identifying marks on either the blade or the hilt. 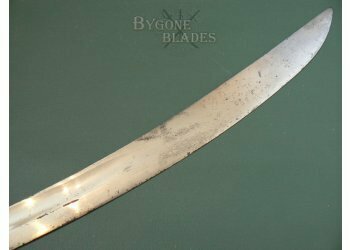 The 830mm broad, curved blade has a wide, shallow fuller on both sides and is in good condition with small areas of tarnish. 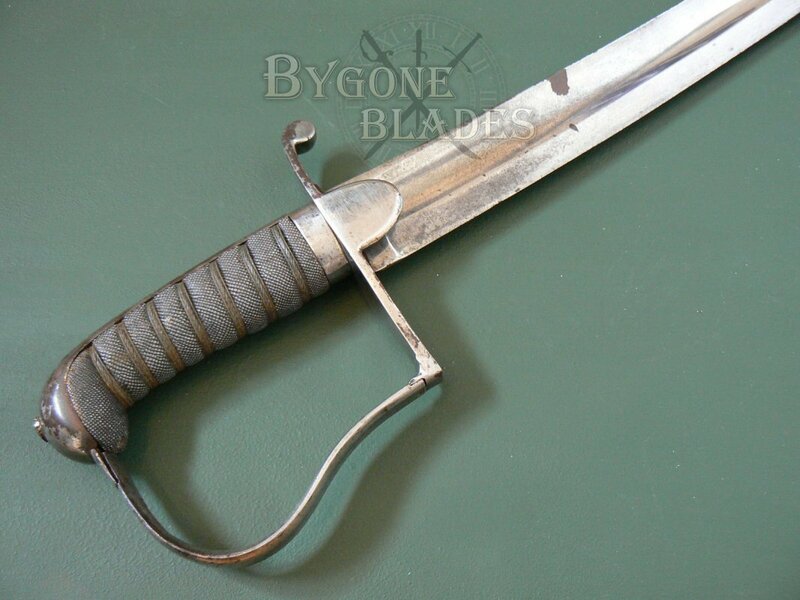 The steel “P” guard is mostly bright with small areas of tarnish. 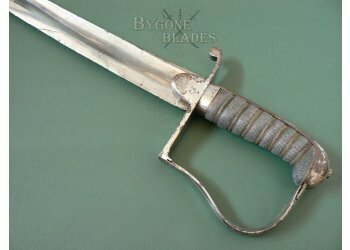 The shagreen grip and wire are in great condition and the blade is firm in the hilt. 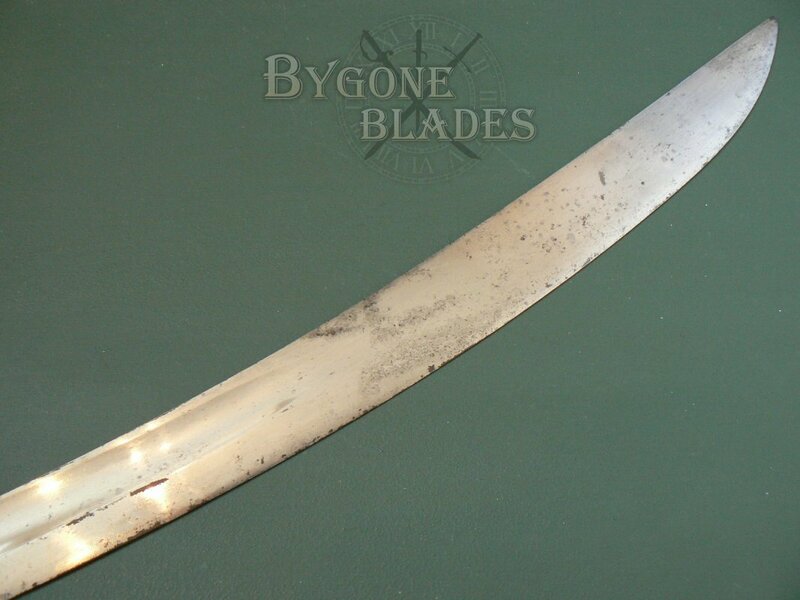 Finding a P1796 in any condition is not easy much less one as well preserved as this.